Our Talk Time Assembly theme this week is anti-bullying. This morning in assembly the children were shown our new Worry Boxes. 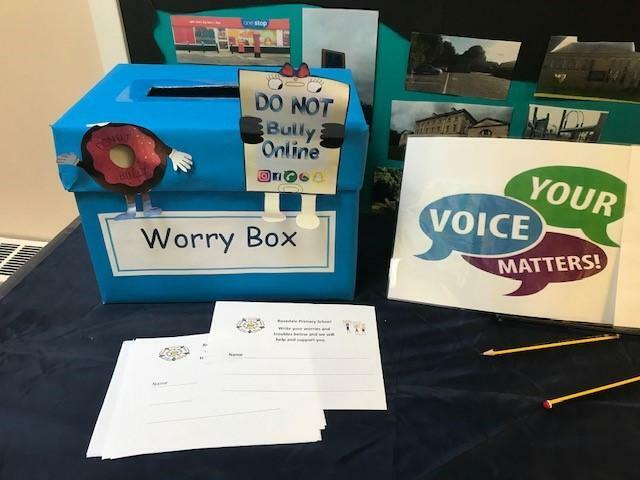 If children want to talk to someone about being bullied or someone they know being bullied and prefer to write down their concerns they can post it in the Worry Box. Someone from our Anti-bullying Team will check the boxes on a daily basis.